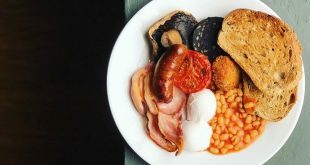 In the past few years, Liverpool has seen an influx of new eateries with food as expansive, eclectic and rich as its burgeoning arts, literature and music scene. There is no shortage of places to tantalise locals and tourists’ taste buds with cuisine as varied as Japanese fusion (Miyagi), the aromatic and citrus taste of the Middle East (Bakchich) and the fun and fiery atmosphere of Mexico (LuchaLibre). Even braver, then, it is for new places to try to tempt an existing clientèle with their culinary magic. Here is a pick of delicious new restaurants, with something to entice every palette. Situated on the edge of Chinatown on Berry St is the new iteration of Neon Jamón. The Spanish and Catalan restaurant has already proved popular on Smithdown Road. Based on tapas, the menu is replete with Spanish stalwarts such as manchego cheese and the Jamón (serrano) of the title. The plates are unfussy and uncomplicated, much like food you’d be served in a traditional bar in Spain. Particularly affordable is the lunch offer of two plates for £9 – although if you want to be even more frugal, you could opt for the deliciously simple ‘pan con tomate’ (sourdough bread with garlic, ripe tomatoes and oil) and ‘tortilla’ (egg and potato omelette). Wahaca is the brainchild of former Masterchef winner Thomasina Miers and is located opposite the Bluecoat on College Lane. This is Mexican street food at its best, with quesadillas and fresh guacamole making a welcome appearance. Notable also is their gluten free menu with lovely frijoles (creamy refried black beans) cooked with chorizo oil. For something a bit different, head to Veeno on Castle Street. The menu is based on Italian wines with food acting as a welcome supplement. You order wine first, and can eat small plates with the focus on ‘dining to suit your appetite’. The Italian menu has tuna and vegetarian bruschetta, as well as small bites to try, such as well-loved prosciutto and gorgonzola. Continuing the upmarket vein is The Old Blind School, boasting a beautiful faux Neo-classical exterior in a building that is mired in history, having been a blind school, a police headquarters and a union. This is a restaurant for special occasions with a sophisticated but traditional British menu; the sort of place a Philharmonic patron might enjoy. The slow roasted belly of pork with cider gravy and mashed potatoes is decidedly good. A convenient place to eat for commuters heading out of Liverpool Central Station is My Pho, a fragrant and fresh taste of Vietnam. Try the beef noodles with bamboo shoots and basil with hints of sharp lime and fiery chilli. My Pho is ideal for those who love big flavour, which is complemented by the casual backdrop. In other hands, pizza fries would sound like nasty hangover food, but in Portland St 358 they are genius. For a fiver, you can choose from classic Margherita fries to Tennessee fries complete with pulled pork and BBQ sauce. Enjoy such indulgent treats with similarly delicious cocktails, such as a Peach Cobbler or Saigon Cooler. You are spoilt for choice on the eclectic Bold Street. Crust, however, is a welcome addition to the food scene. Its menu is billed simply as ‘Pizza. Pasta. Beer.’ Customers can be found sipping into Peronis and diving head first into classic fiorentina pizzas – a winning combination of asparagus, mozzarella, pancetta and egg. Like Wahaca, they cater for gluten free diets, which will be comforting to coeliacs, as gluten free pizza bases can be in short supply. Heading out of town is Churrasco Steak House, situated in the old public toilet building at the bottom of the ever quirky Lark Lane in Aigburth. This unpretentious joint is open from 9am for breakfast until late at night. Cure a hangover with a steak and egg breakfast or tasty pancakes. In the evening, before a night on the tiles on Lark Lane, line your stomach with a rib eye steak served with whiskey sauce or break your diet with a truly indulgent Churrasco platter – a mouth-watering combination of barbecue ribs, Louisiana chicken wings, spring rolls, tortilla chips and garlic bread. Definitely not for the faint-hearted. Whether it’s small but appetising tapas, or a super-size Argentinian steak, there is something for everyone’s appetite and pocket on this list. Take a sojourn on the ever expanding Liverpool food scene – try something new and exciting this weekend. You never know, one of these fantastic restaurants might just become your new favourite. Eli loves all the culture on offer in Liverpool: from second-hand bookshops such as Henry Bohn's to the fantastic exhibitions at Open Eye Gallery. Eli's currently studying the NCTJ Journalism at City of Liverpool College.